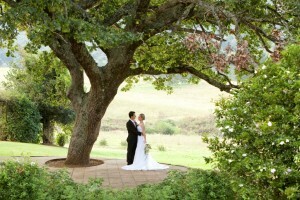 Hawklee Country House is set on 17 acres of unspoiled Midlands beauty, on the banks of the Lions River. 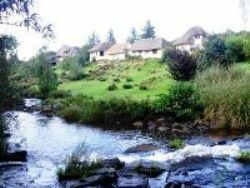 Close to all amenities of the Midlands Meander and the beautiful Drakensberg Mountains and only 1 ½ hours pleasurable drive to the coast. 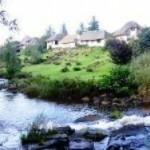 Honeymoon Cottage- Mallard– R760.00 p/p sharing or R 975.00 p/p single per night. This cottage, known as our “bling” Cottage and is a single room cottage decorated in silver and reds that has the highest view of the Lions River from the Spa bath which is situated in the bedroom. The view is spectacular with one way glass so you can Spa in privacy while enjoying the view. It boasts a queen bed, 2 comfortable ¾ leather sleeper couches, DSTV and an en-suit shower ect. 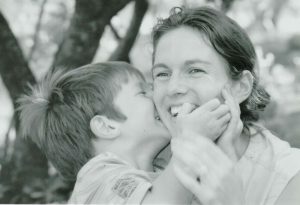 The cottage is supplied a fully stocked bar fridge, bubble bath, soaps, hair shampoo and candles for that romantic occasion. This single round cottage is decorated in beige and pink roses as the name depicts. The Spa bath is situated in the room with an en-suit shower. 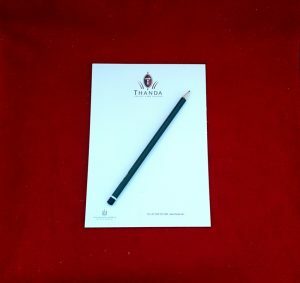 Enjoy either 2 single beds or a super King size bed with a sitting area, DSTV and a fully stocked bar fridge, bubble bath, soaps, hair shampoo and candles for that romantic occasion. Relax in the garden and read a book while you enjoy nature at its best. These rates include our Full English Breakfast. The restaurant offers a lovely view of the river. 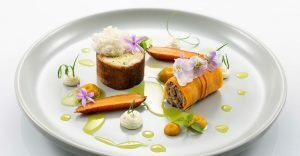 We offer a 3 course set menu every evening. Booking is essential. Recreation can be taken by strolling along the riverside or simply sitting under the shade of a tree listening to the sound of the river cascading over the rocks. We have a cozy pub where you can relax and unwind after your long drive, or simply enjoy an ice cold glass of wine or beer after another relaxing day. 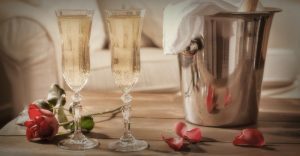 Honeymoon package to be placed in the cottage before arrival which consists of 2 engraved wine glasses with the Hawklee logo, bottle of champagne, flowers, candles for around the spa bath, chocolates, fruits and nuts. We decorate the chalets with rose petals to complete the romantic feel. Picnic baskets are available on request which can be taken on the Meander or for one of our numerous shady spots by the riverside. These baskets consist of a variety of delights to tempt the taste buds. 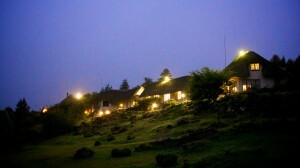 The Midlands Meander – an internationally acclaimed arts and craft route – offers over a hundred ports of call, and there is a host of natural attractions and leisure pursuits within easy driving distance, including the largest concentration of historic battlefields in the southern hemisphere, nature and wildlife reserves, and Zulu cultural experiences. On the doorstep are scenic riverside walks, swimming in clear rock pools, amiable country rambles and rewarding birding opportunities. The more energetic will indulge in cycle touring, horse trails, fly-fishing and the opportunity to play the nearby golf courses. 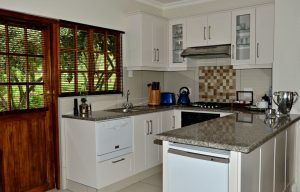 Let your hosts and the Hawklee team welcome you to this little spot of paradise in a haven of tranquillity.